A long time reader, you often make my day! I have more of an annoyance than a problem, but maybe you can help. 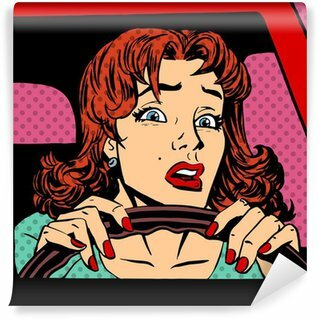 My sister is not nearly as good of a driver as she thinks she is, and it is really starting to get on my nerves, as she wants to drive my kids around for outings and stuff. It’s not that she speeds, or texts while driving, it is more just not paying attention. Her car has lots of scrapes and dings from parking lots and garages. She calls it the normal price of driving in the city. I call it not paying attention when you back out of a parking spot! If I am a passenger, she treats a drive as a nonstop conversational opportunity. To me, if you are driving, you should drive, that is your main focus. She is always getting cut off and tailgated as her speed goes up and down with the conversation. I think she is an accident waiting to happen. I need to come up with some good excuses to not have my kids chauffeured by her. Can I just tell her that I don’t think she is a good enough driver? As tempting as it might be to say something, I’m thinking we may want to work out a different approach here. I just don’t know if I thinking telling your sister she’s a terrible driver is going to create the familial harmony you might be thinking it will. As a parent, you have the right – and the responsibility! – to make whatever decisions are best for your kids. Their safety comes first and I don’t think you need to come up with any fluffed up excuses to keep them out of harm’s way. Thanks for the offer, but so and so is taking them to Brownies today! Thank so much, but we’ve actually made other arrangements for them that day. KISS, right? Keep it Simple Sweet. Don’t apologize, don’t negotiate and don’t be long winded about it. Just polite and to the point.